It's been awhile since we've looked at Sloclap's third-person action/fighting title, Absolver. The French developer has continued to support and update the game since its launch on the PC and PlayStation 4 with tweaks, balances, and a new 3v3 PvP mode, but the PvE content has still been lacking. However, there is some good news. 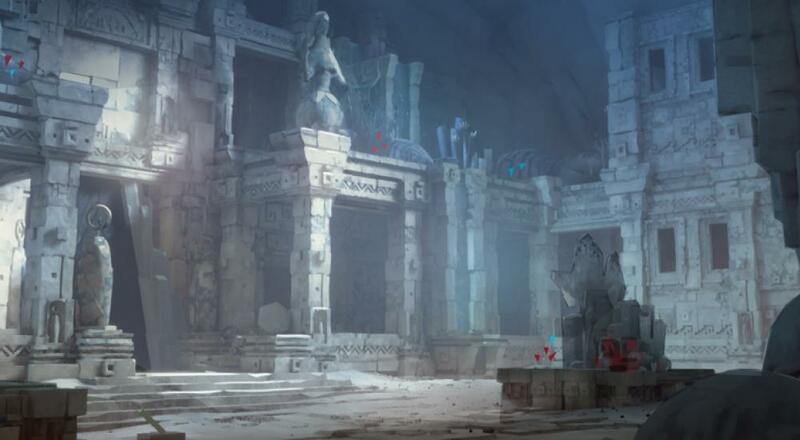 A new PvE dungeon will arrive in just a couple weeks and it will be free for everyone. The new Downfall game mode takes players in solo or cooperative runs down the Adalian Mines, on a quest to battle Arcell and his corrupted Prospects. Players will collect Gleam from infected Prospects and transform it into rewards in the form of experience and gear. The more Gleam you capture, the more powerful you become in your struggle to defeat the Corrupted, and eventually Arcell himself. Each run through the Mines and Temples is a unique path through a variety of challenges and situations, facing upgraded enemies with improved AI, and three epic boss fights. Locke and I were both fans of the title and the way it introduced players to some the underlying ideas/mechanics in fighting games like Injustice 2 or Street Fighter V, but we also lamented the fact that the co-op was rather lacking. With this new mode, I think we'll both have an excuse to hop back in and dust off our fighting skills for a bit. The DLC will also include new gear and a new weapon type, along with a new fighting style inspired by Bruce Lee's Jeet Kun Do. Absolver is currently available on PC and PlayStation 4. Three player online co-op is supported in the game. Page created in 0.2204 seconds.